I remember tearing across town on my bike to visit her on the day my big sister dropped the bomb: "There is no Santa Claus," she jeered. "Even dummies know that!" 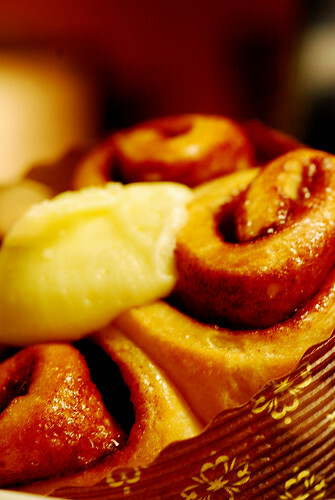 I knew Grandma always told the truth, and I knew that the truth always went down a whole lot easier when swallowed with one of her "world-famous" cinnamon buns. I knew they were world-famous, because Grandma said so. It had to be true. "No Santa Claus?" She snorted... "Ridiculous! Don't believe it. That rumor Has been going around for years, and it makes me mad, plain mad! Now, put On your coat, and let's go." I was only eight years old. I'd often gone shopping with my mother, but never had I shopped for anything all by myself. The store seemed big and crowded, full of people scrambling to finish their Christmas shopping. For a Few moments I just stood there, confused, clutching that ten-dollar bill, wondering what to buy, and who on earth to buy it for. I was just about thought out, when I suddenly thought of Bobby Decker. He was a kid with bad breath and messy hair, and he sat right behind me in Mrs. Pollock's grade-two class. kids knew that Bobby Decker didn't have a cough; he didn't have a good coat. I fingered the ten-dollar bill with growing excitement. I would buy Bobby Decker a coat! "Yes, ma'am," I replied shyly. "It's for Bobby." Claus" on it. Grandma said that Santa always insisted on secrecy. Then she drove me over to Bobby Decker's house, explaining as we went that I was now and forever officially, one of Santa's Helpers. Grandma parked down the street from Bobby's house, and she and I crept noiselessly and hid in the bushes by his front walk. Then Grandma gave me a nudge. "All right, Santa Claus," she whispered, "get going." I took a deep breath, dashed for his front door, threw the present down on his step, pounded his door and flew back to the safety of the bushes and Grandma. Together we waited breathlessly in the darkness for the front door to open. Finally it did, and there stood Bobby. Fifty years haven't dimmed the thrill of those moments spent shivering, beside my Grandma, in Bobby Decker's bushes. That night, I realized that those awful rumors about Santa Claus were just what Grandma said they were: Ridiculous. Santa was alive and well, and we were on his team. I still have The Bible, with the coat tag tucked inside: $19.95. How's this for Christmas Fun?